Judy Jensen & Fred Roswold have cruised part time since 1986 and full time since 1996 aboard Wings, a Serendipity 43 hailing from Seattle, WA, USA. During that time they have cruised through the Pacific, Asia, and the Indian Ocean. You can read more about them on their blog or by email (svwings@aol.com). One of the wonderful things about cruising is discovering things for one’s self. Of course safety practices and certain practical matters like how to sail, how to anchor, how to survive living in close quarters, are among things which one shouldn’t have to learn the hard way, but these we think we had that covered long before we left on our extended cruises. Other things, if we had been told, such as that cruising is more expensive than we imagined or that the world is too big for us to get to all the places we dreamed of, we probably would not have listened to anyway; you believe what you want to believe. So we really can’t think of anything that, if someone had told us, would have made a difference, positively or negatively, in our cruising experience. You have to find a balance between staying longer and longer, so as to become fully immersed in a country or locality, and quickly moving on so you get to more places. We stayed in many countries far longer than most cruisers, often over a year, and we encourage cruisers to slow down and stay places longer, and not just the normal cruiser haunts where all you do is hang out with other cruisers, but places where you are not surrounded day in and day out by yachties. But staying does not mean putting your boat in a marina and flying home for a year. It means staying there long term and really getting into the community and getting to know people who live there. You get more out of cruising when you stop checking off the list of places you visited, stop saying, “Been there, done that”, and start smelling the flowers, most of which you won’t even see are there for the first few months. And we think, in all honesty, that there has never been a place where we were not ready to move on when we did, or that we regretted leaving after we left. The most important thing we can say about sailing offshore is to prepare yourselves and your boat so that it is enjoyable for you to be sailing. Prepare yourselves. Do a lot of sailing before you set off. Sail in all kinds of weather. Sail on as many boats as you can so that you learn what you like and what you don’t like (before you buy). Choose a vessel which sails well and can sail in any direction (including upwind) so that you are not struggling or forced to motor in heavy weather. A boat should be a sailboat first and a house or storage locker second. Place a priority on sailing. Make your boat easy to sail. Make it easy to adjust things with proper winches, leads, and cleats. Make it easy to move around on (and in). Reduce clutter; such things as jerry cans, dinghy’s and other items which, if stored topside, restricts easy movement. This is a safety issue for you and also makes your vessel more seaworthy (so that sailing in heavy weather and taking a wave aboard is less likely to carry away something or do damage). Keep your vessel it simple. Evaluate critically those complex labor saving devices which can cause big trouble if they fail or tangle in bad weather. Keep your vessel clear below decks as well so that living aboard during the offshore passage feels comfortable and relaxed and is not an endurance test. Set a regular watch schedule and keep to it. And the most important tip: Reduce sail early. The amount of money people spend on their boats and to cruise has gone up. There are more people out there with high personal wealth. There are fewer low budget boats and low budget families cruising. Typical cruising boats now are bigger and more complex. These boats are also more costly to maintain. Marinas are more costly because more people are going to them and the demand for marina berths often exceeds the supply. Many marinas are reducing numbers of berths for smaller boats and increasing berths for superyachts. This does not mean that it is no longer possible to cruise in a smaller, simpler, boat with a low budget, but people who do are in a minority. In general, costs have gone up. On the other hand navigation has become easier with better charting tools and other electronics and the internet is everywhere more accessible so communications and financial issues are now simpler to handle. Piracy is now much more of a concern. We felt most in danger in some third world countries when local people acted in a hostile or threatening manner. This occurred in Papua New Guinea and the Solomon Islands. Many other countries, such as places in the Caribbean, may also have similar dangers. No bad situations actually developed for us but we realize that a boat and the cruising people aboard it represent a vast amount of wealth to a third world person who has nothing and few hopes or prospects. A cruising boat in a remote place is highly visible and might look like an easy target. Have courtesy and compassion to locals who wish to sell you things even when you are tired of hearing their pleas. Remember that they are just trying to make a living for themselves and their families. Be generous. Show respect for local people and customs and the laws of other countries, including clearance procedures, even when you think they can’t or won’t be able to enforce them. Toward other cruisers show tolerance for those who anchor too close or do other things which seem to intrude on you. We like the camaraderie around the docks and in anchorages including the friends one makes, social scene and the willingness people show to help each other with problems and tips. We don’t like arrogance which is often shown towards locals and local officials. We were saddened to hear cruisers in Mexico advise others not to reveal their weekend arrivals in order to avoid paying overtime clearance fees, for example. We don’t like cruisers who are disrespectful of local people and their customs. We don’t like the rumours and incorrect conclusions which cruisers pass around and which become accepted as truths when there is little basis or foundation. This includes weather and safety issues, equipment issues, as well as other things related to local customs and cultures and personalities. We learned to slow down while sailing, not to push the boat too hard. We also learned, or are still learning, to accept what comes our way and appreciate where we are, physically and psychologically. We realized that we won’t get to every place which we dreamed of going, or do everything we dreamed of doing, and no matter what we thought about our capabilities and what our futures would hold, plans change. We created a reasonable and detailed financial plan and we stuck to it. I wish you had asked what were our objectives for going cruising and what are the important considerations for making cruising a success? What are the wrong reasons for going cruising? 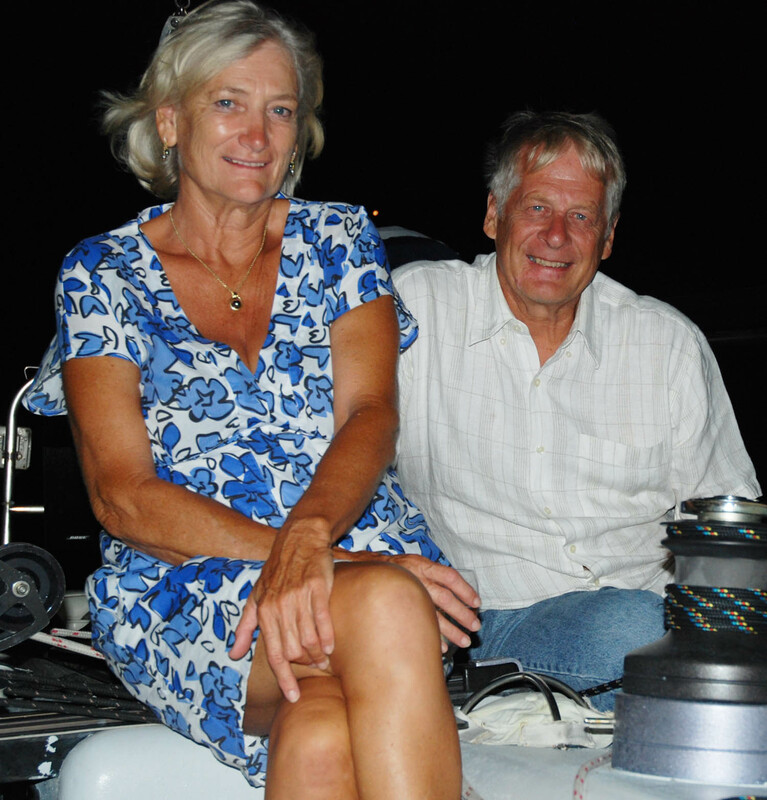 Our objective was to continue living on our boat but to do it in some new places and to enjoy sailing as often as we could while doing it. We viewed living aboard and sailing as the life we preferred, not as a means to achieve a goal and then to be discarded as we moved on to other things. “Sailing around the world”, so we could say we’d done it, was not our objective. Don’t go cruising to escape the modern world, it exists everywhere. Cruising, for us, would only be a success if we truly liked doing it, liked the sailing part (I can’t emphasise enough how important this is, and how often it is not true for cruisers) and enjoyed the experience of living in other places. Both parties, if it is a couple, must equally want to do it and enjoy it. It is unlikely that the non-sailor you met and introduced to sailing will like it over the long term. You need to know that the type-A personality, which earned you the money to buy that boat, will need some adjustment or you won’t find the life challenging enough to want to continue (after a 1000 white sandy beaches and a million palm trees, how many more do you need to see?). Consider how you will be able to deal with being away from children, grandchildren, and parents. Have a realistic cruising budget. Like and be good at “fixing things”. Make your boat comfortable and natural to live on because otherwise you will soon get tired of “camping out”. 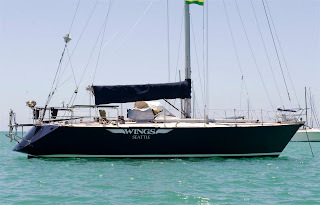 That means: neat, tidy, uncluttered, a good shower, galley, office, place to relax and read, plenty of ventilation and light, plenty of storage for the personal things which mean so much to you, and the ability to work on things and have small projects going without completely inconveniencing your partner. Go cruising only when you know from experience you like it, not because it looks good in a magazine article. 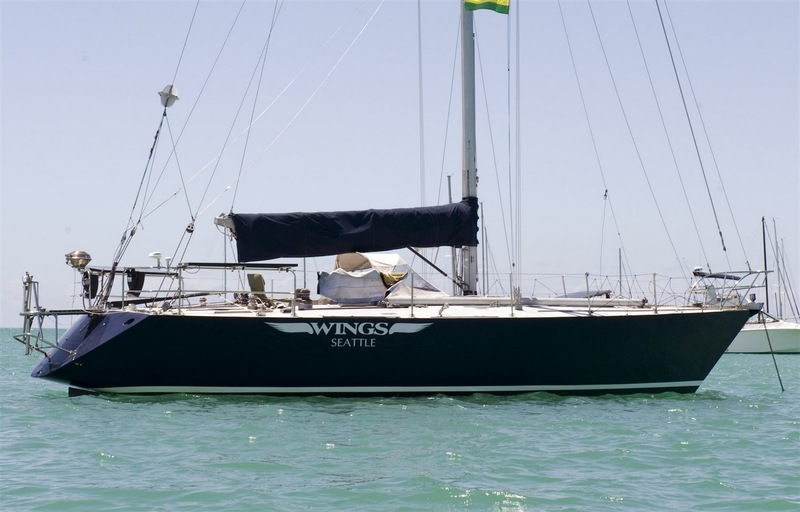 You won’t spend many days sailing along reclining in your cockpit with your arm around your sweetheart and a glass of wine in your hand.